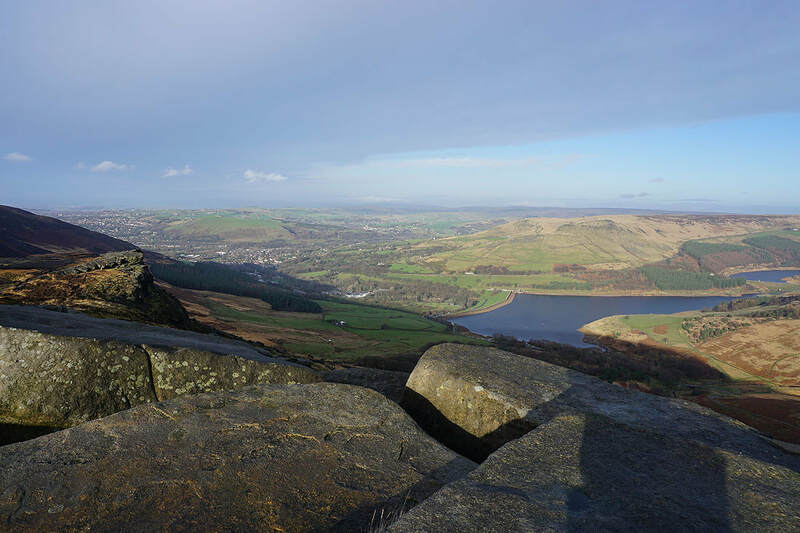 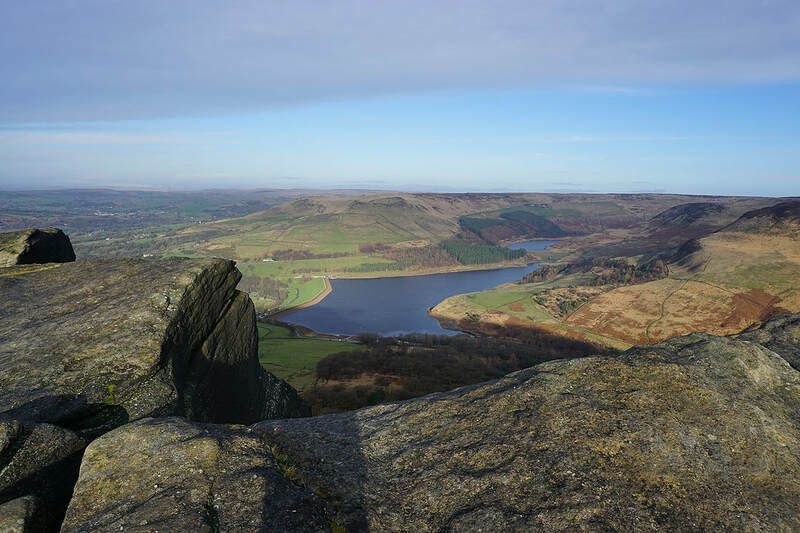 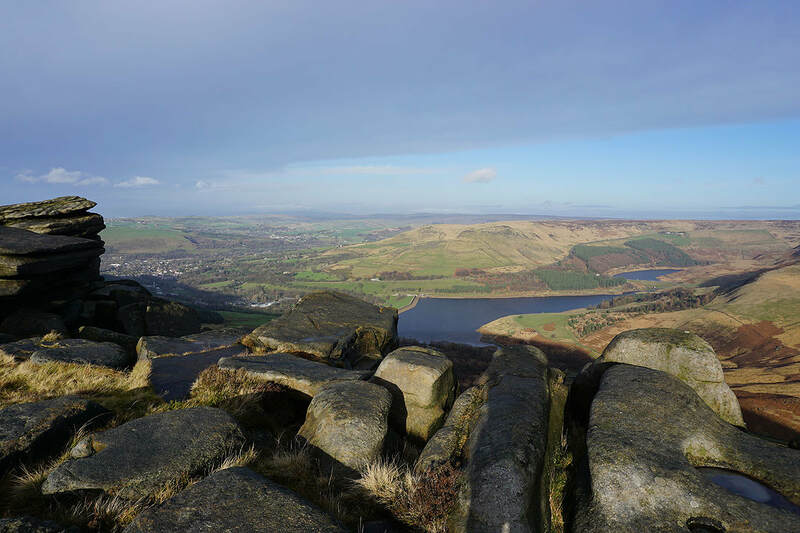 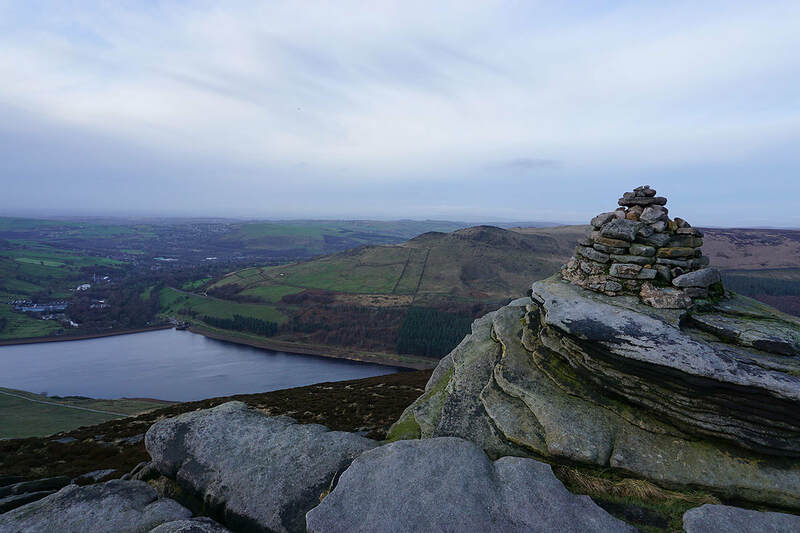 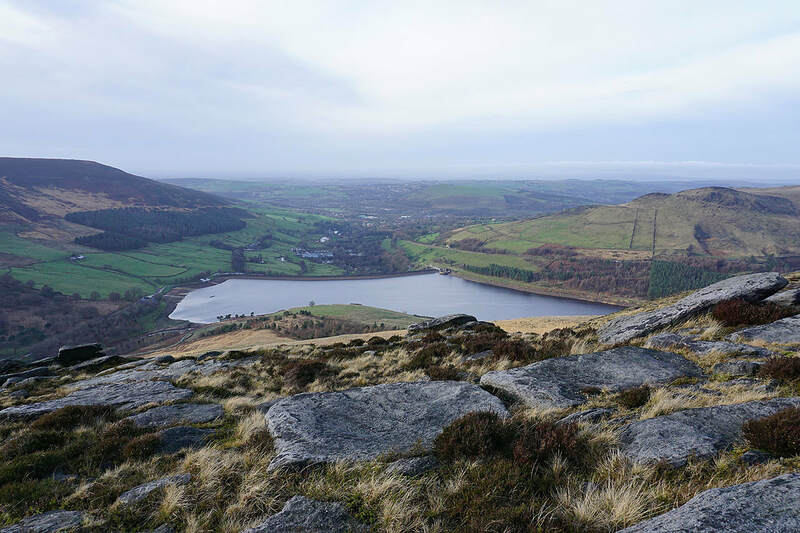 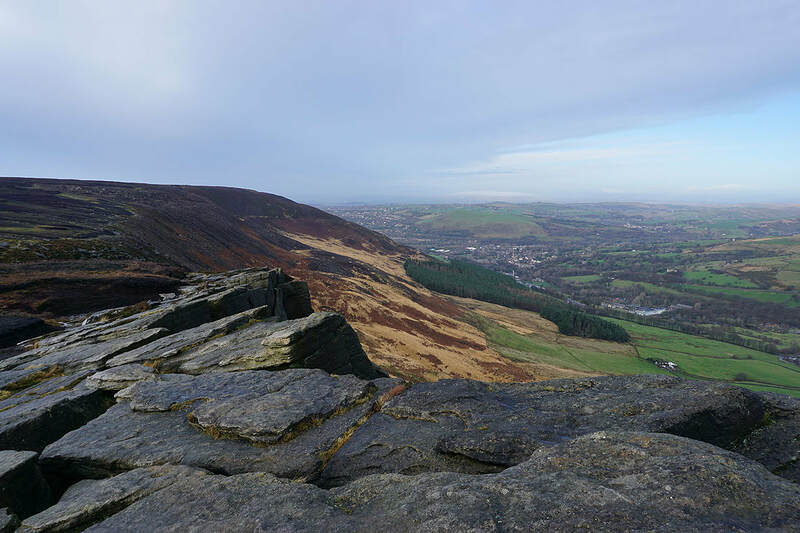 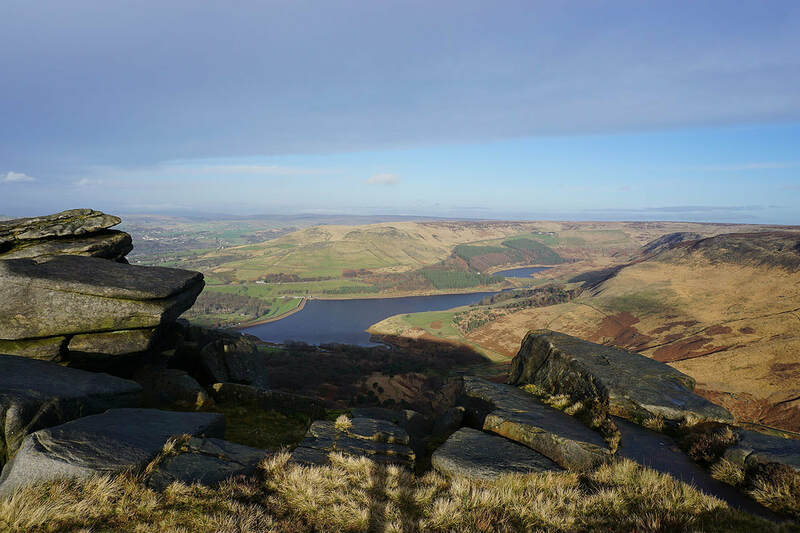 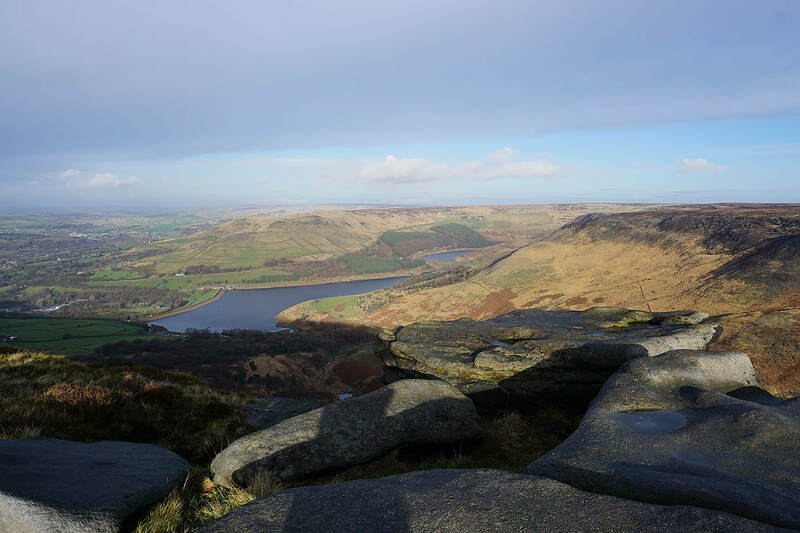 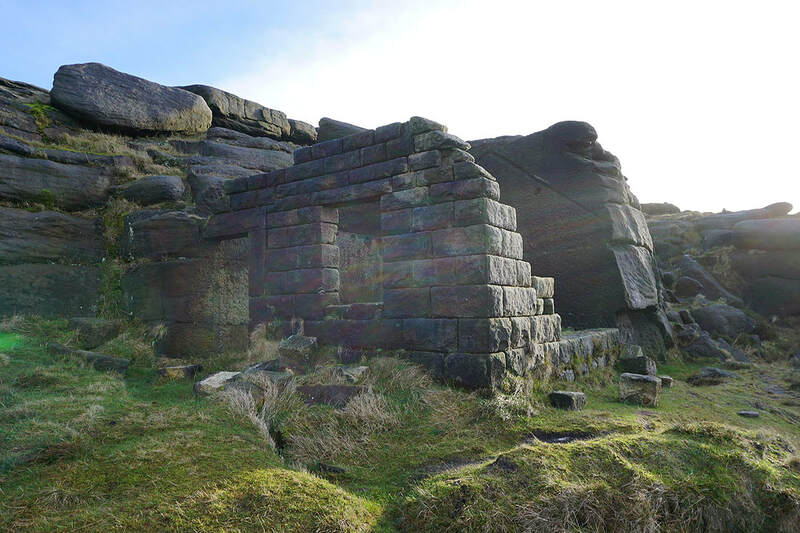 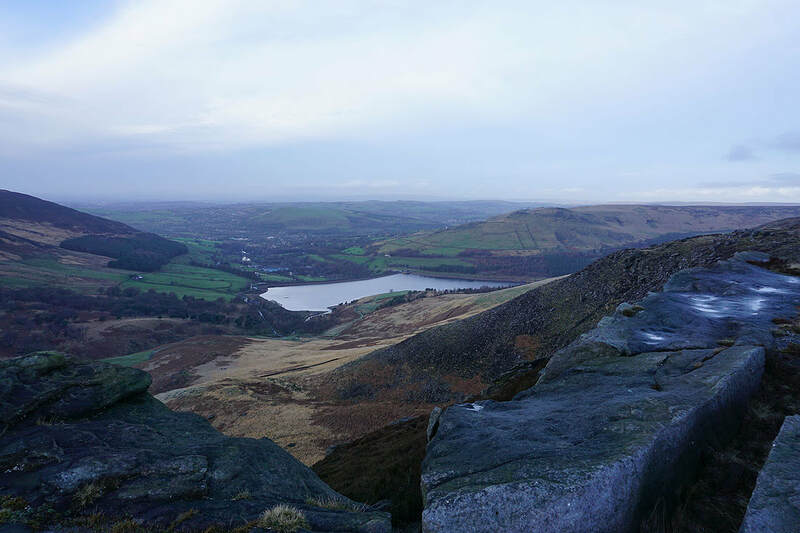 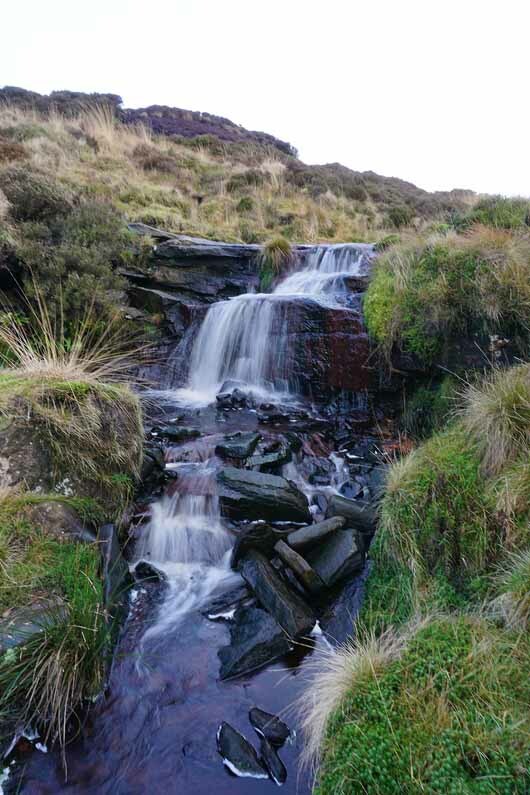 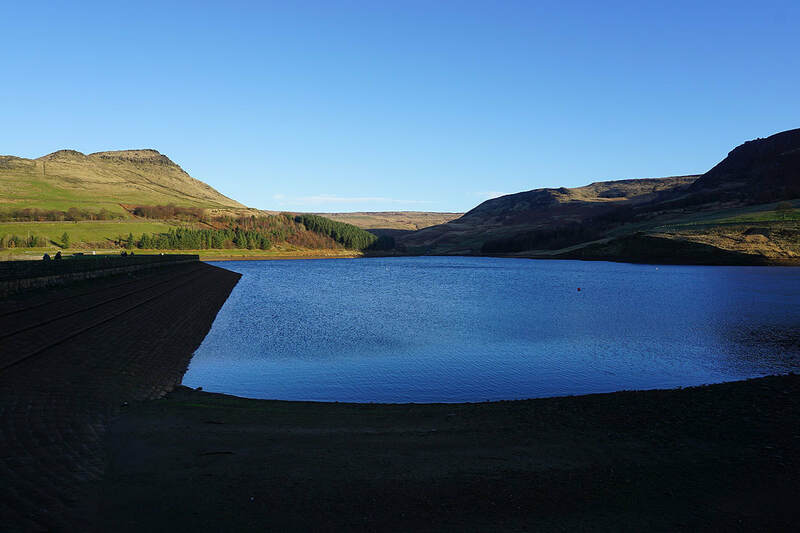 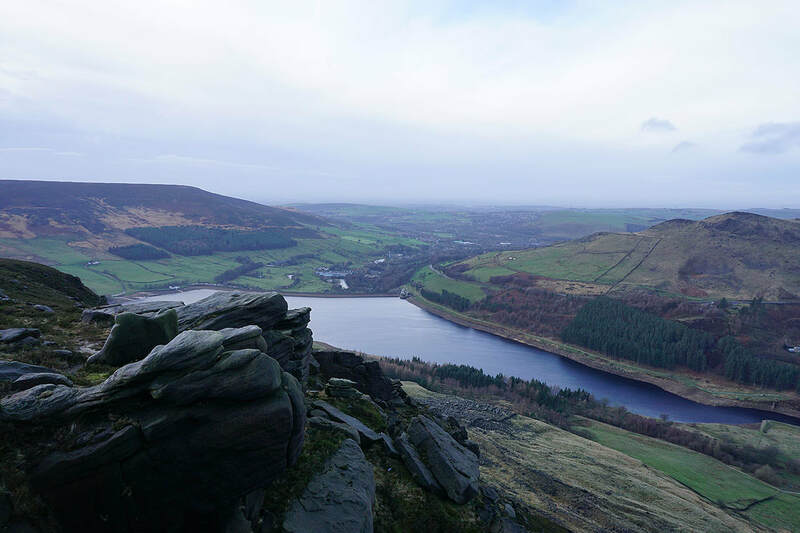 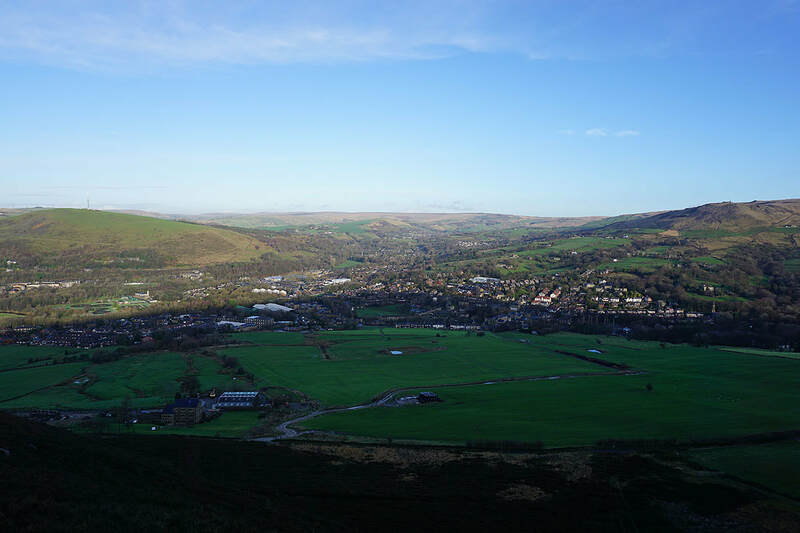 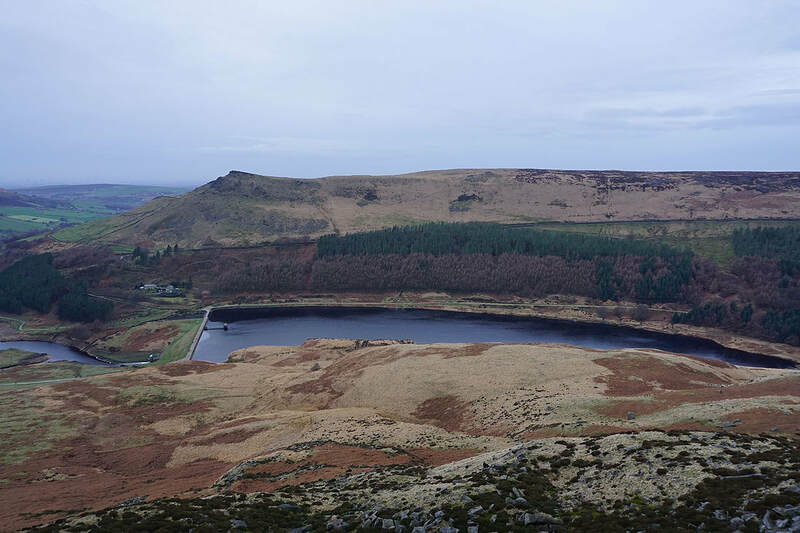 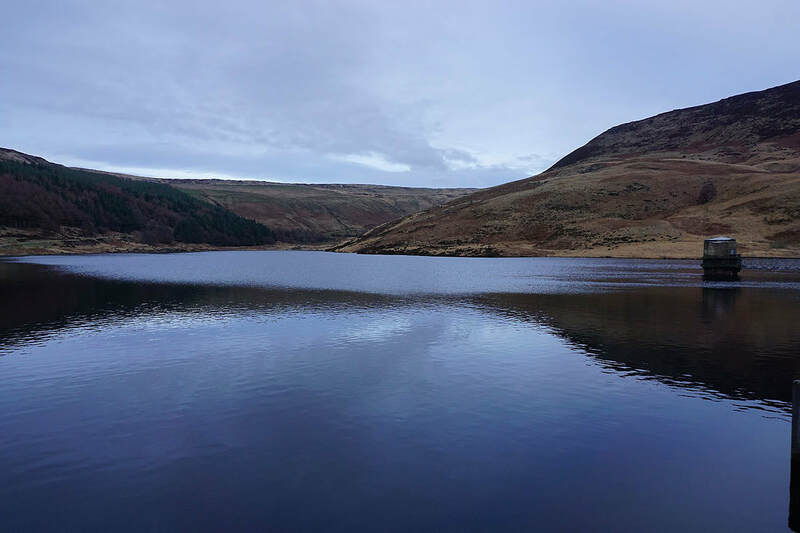 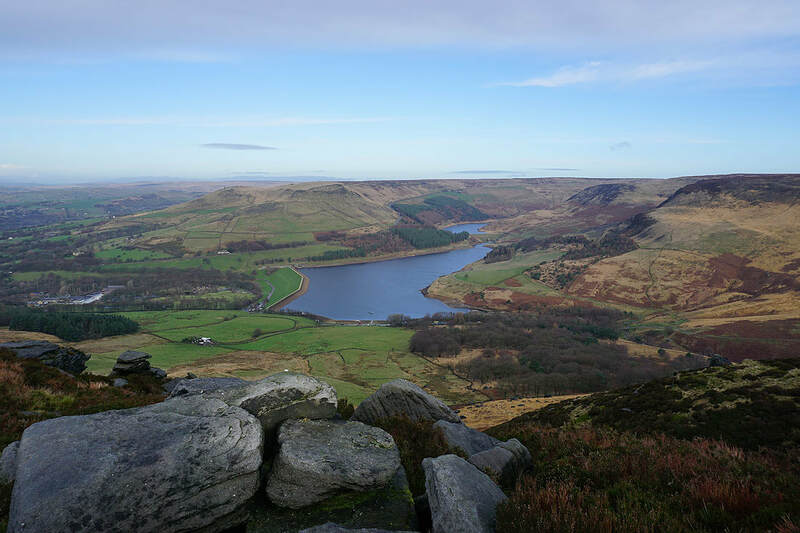 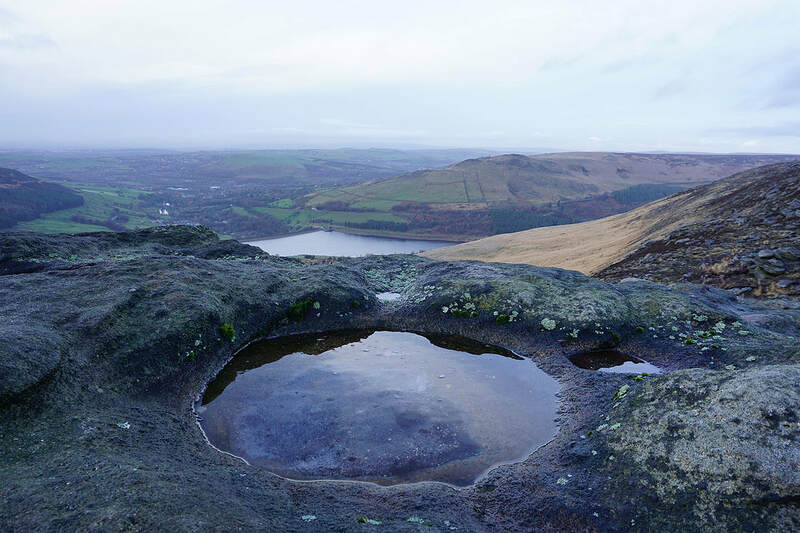 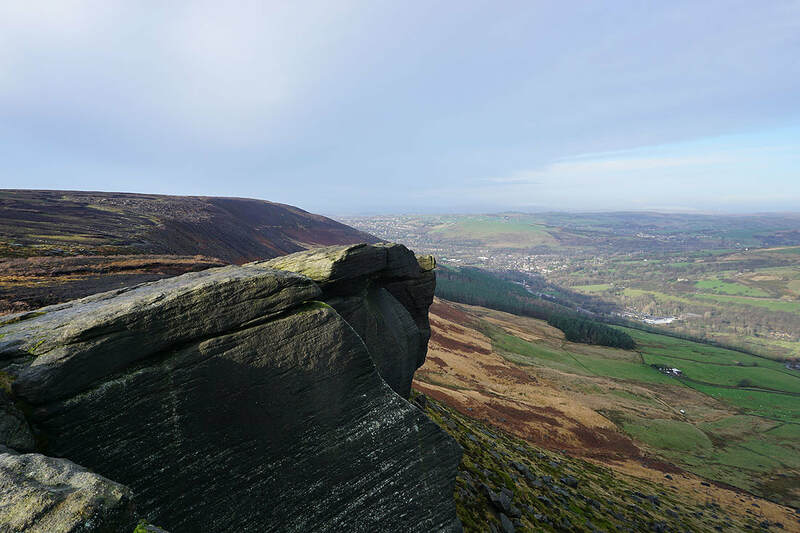 There's some reasonable weather forecast for today so I decided to head for Saddleworth in the northwestern corner of the Peak District and do a walk along some of the gritstone edges above Dove Stone Reservoir. 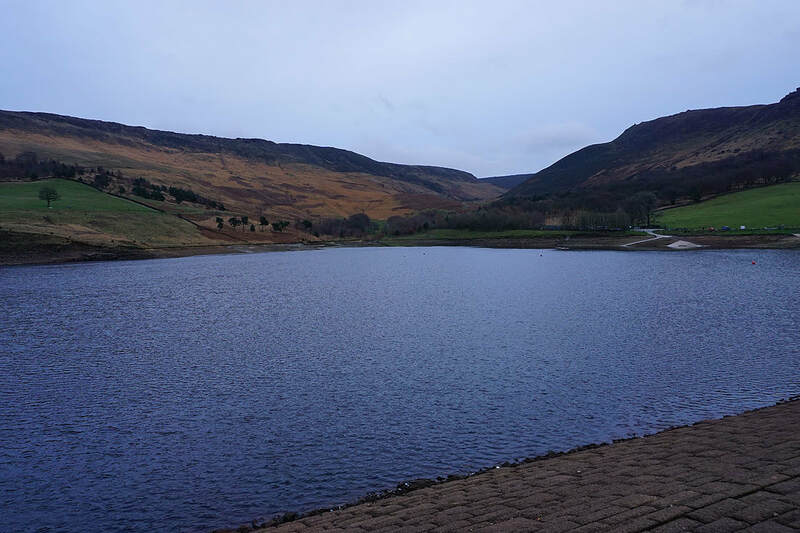 It's an area that I've been to many times now and I've never been disappointed. 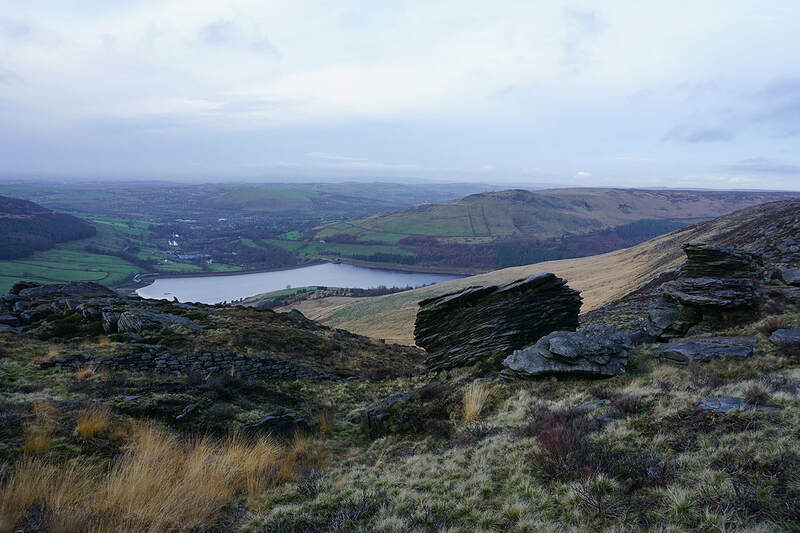 With the days as short as they are I couldn't do all the edges, and with any sunshine set to disappear in the afternoon as thickening cloud moved in from the west I got up high as soon as I could by heading for Alphin Pike. 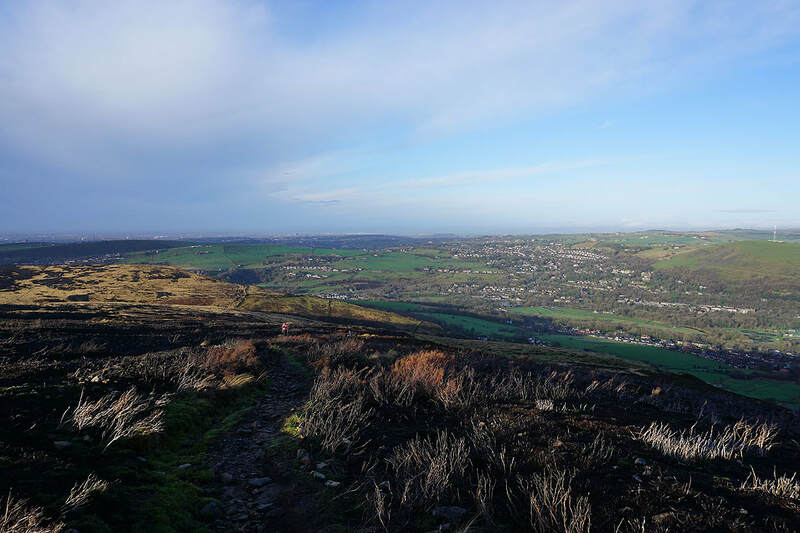 The moorland from Alphin Pike to Stable Stones Brow was on the edge of the devastating fire that swept across these moors back in the summer and it's still obvious just how far it spread with areas of burnt heather and bare peat contrasting with the green of the surviving moor. 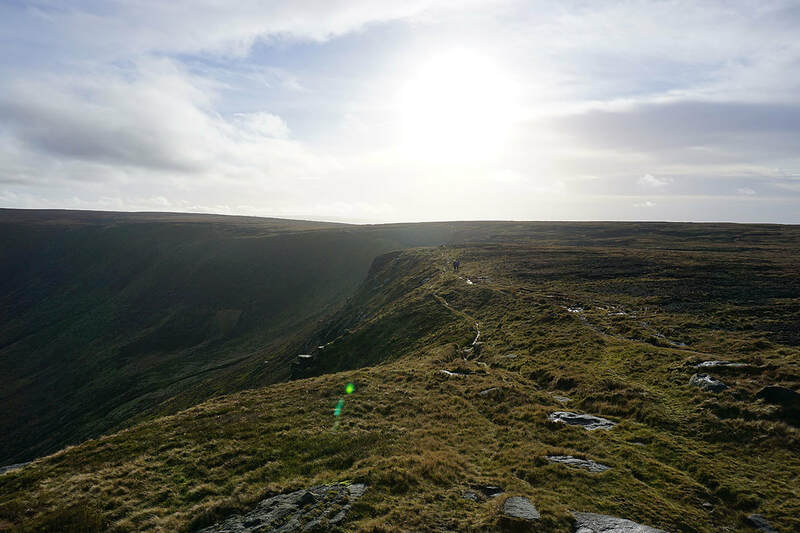 I hope it makes a speedy recovery. 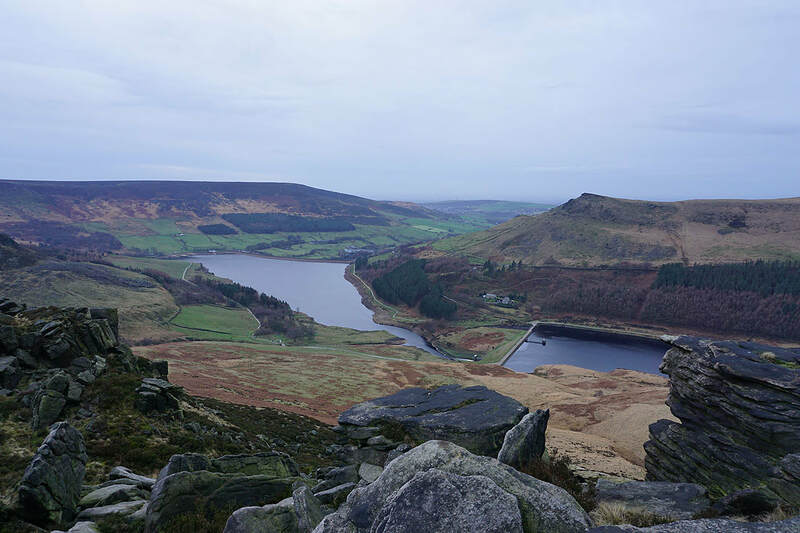 After setting off with sunny skies the sunshine soon became hazy after midday and the skies were pretty grey by the middle of the afternoon. 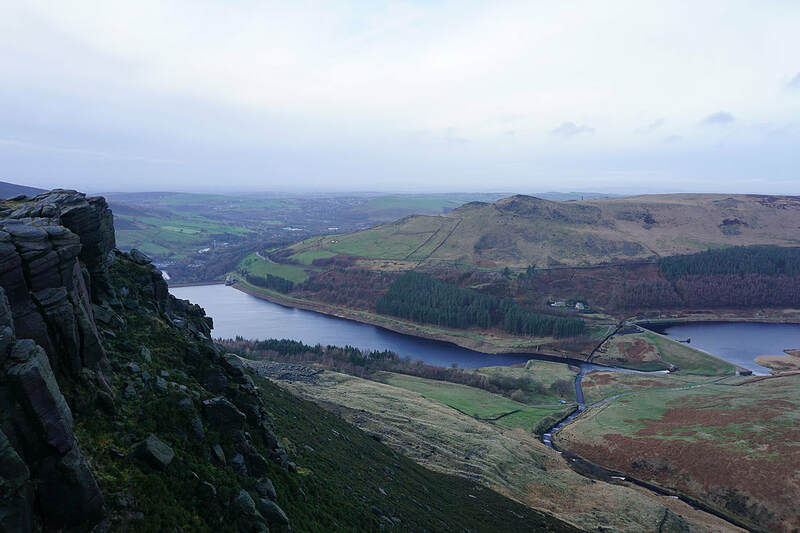 A chilly breeze high up, but then it is the middle of December. 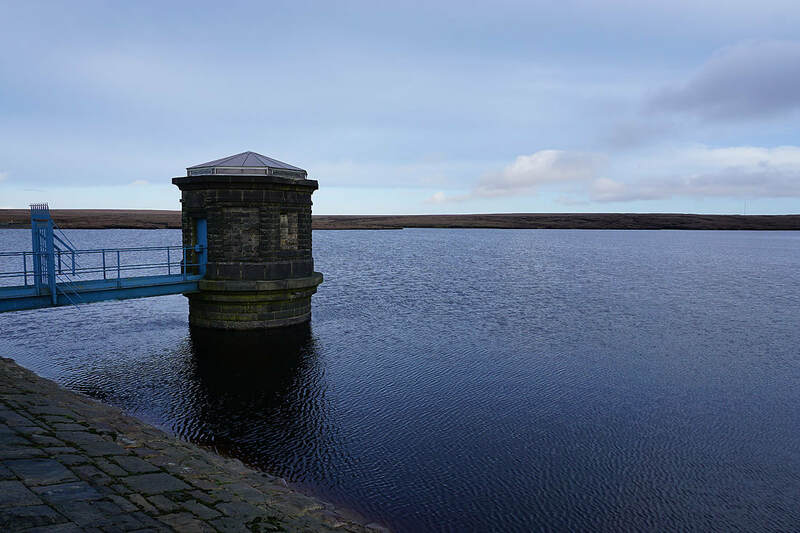 From the car park at Dove Stone Reservoir I walked west along Bradbury Lane, past the row of cottages and along Intake Lane until I reached access land and the trail of the Oldham Way. 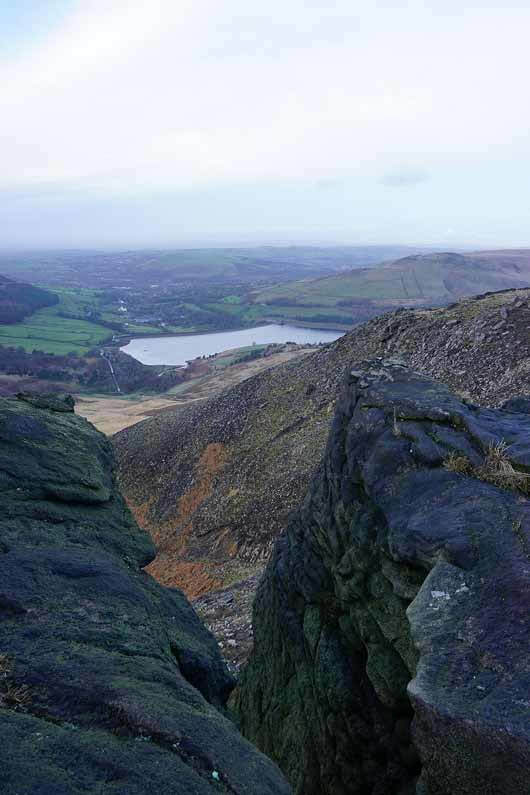 An enclosed path on the left then let me climb up onto the moor to reach the trig point on Alphin Pike. 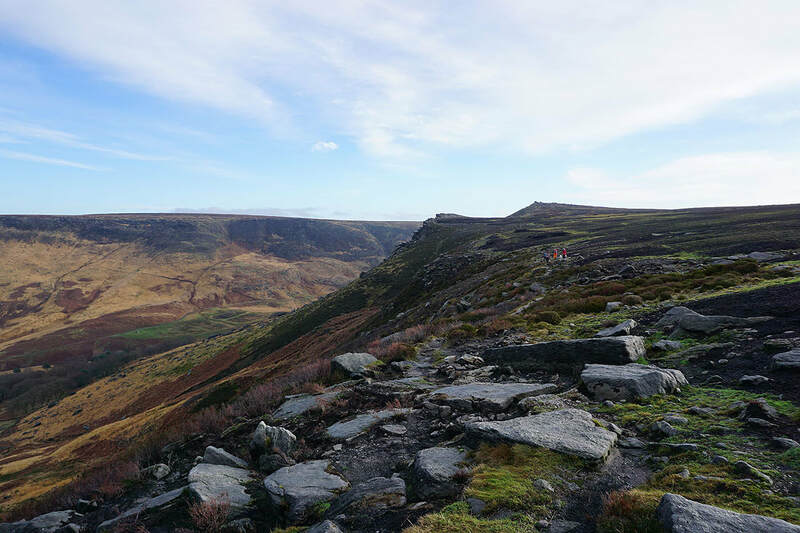 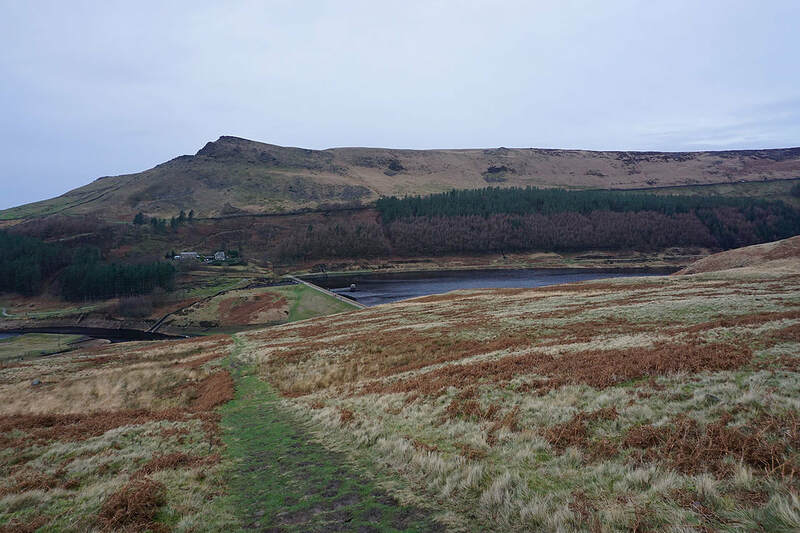 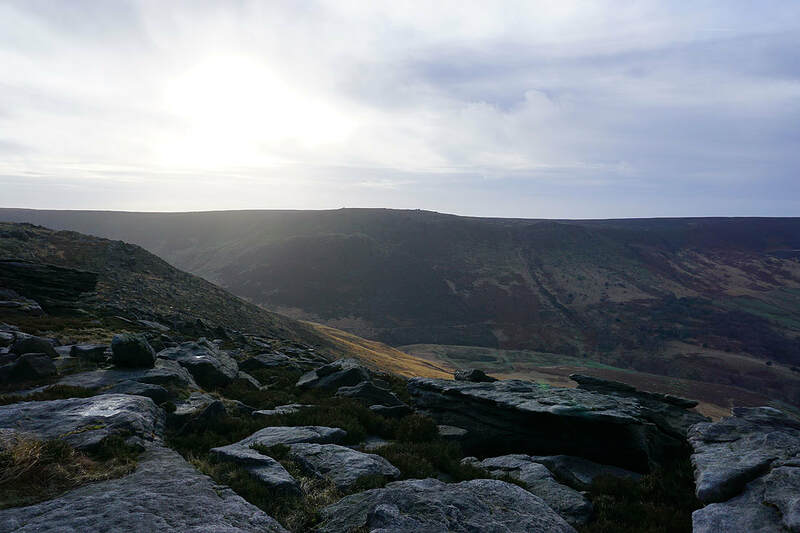 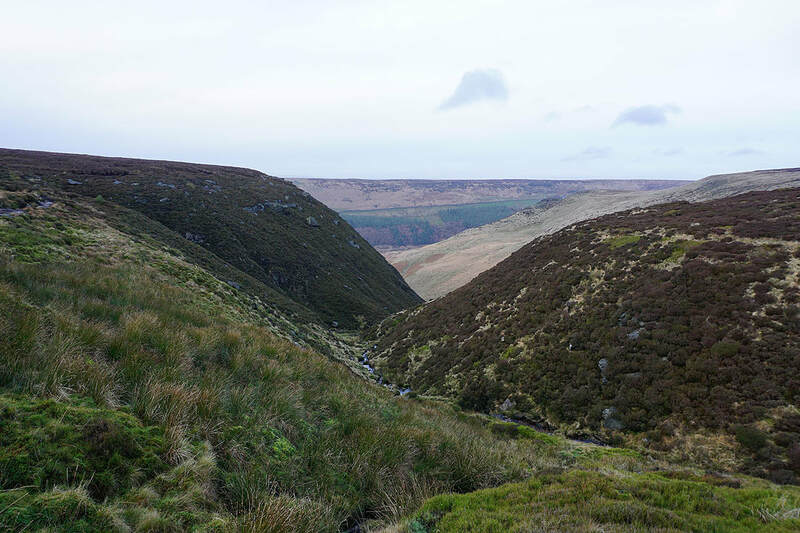 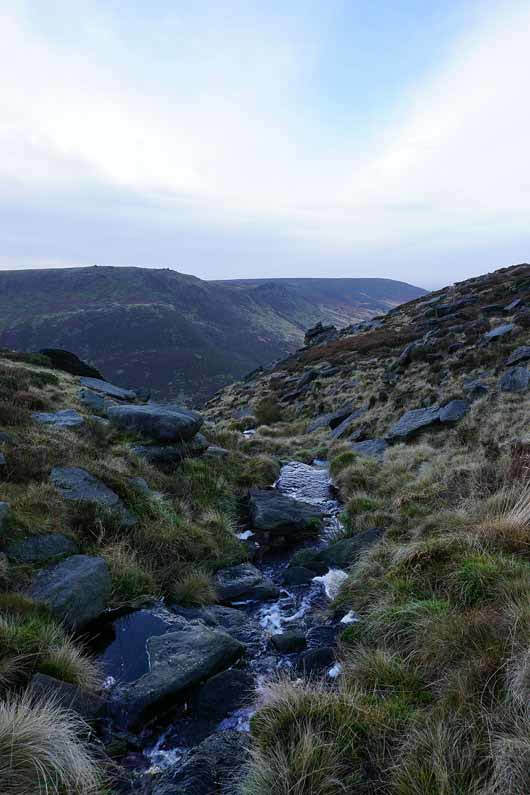 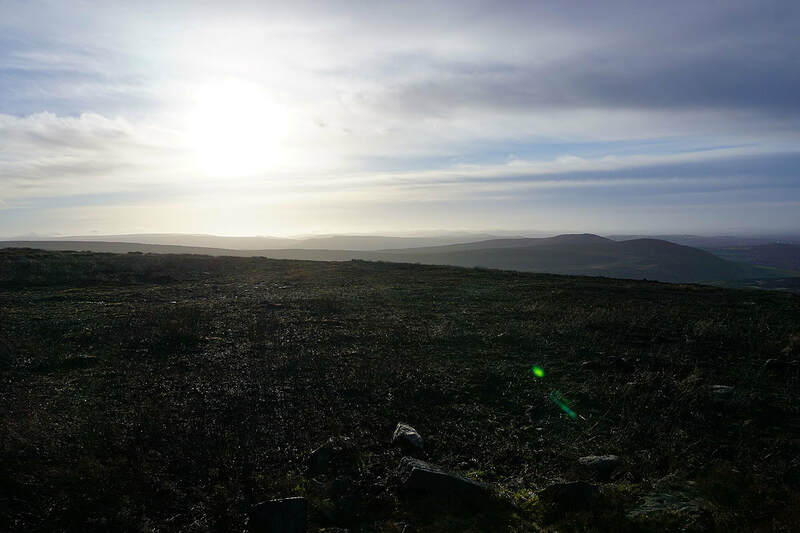 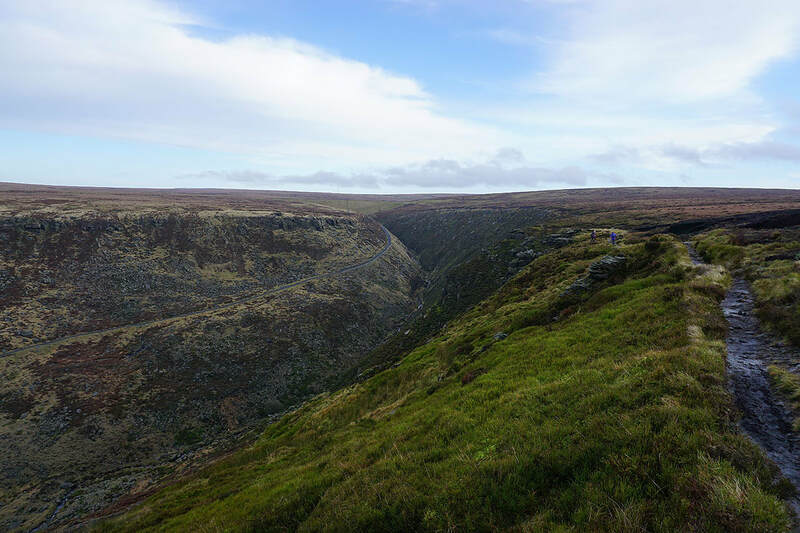 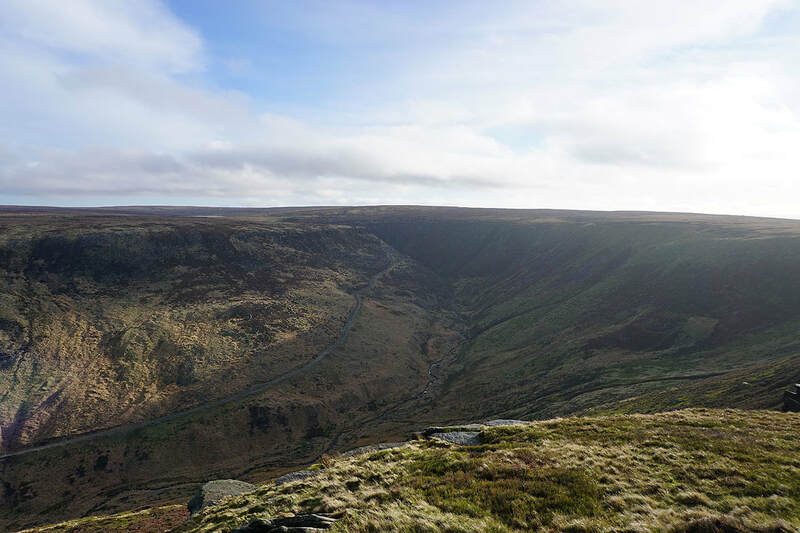 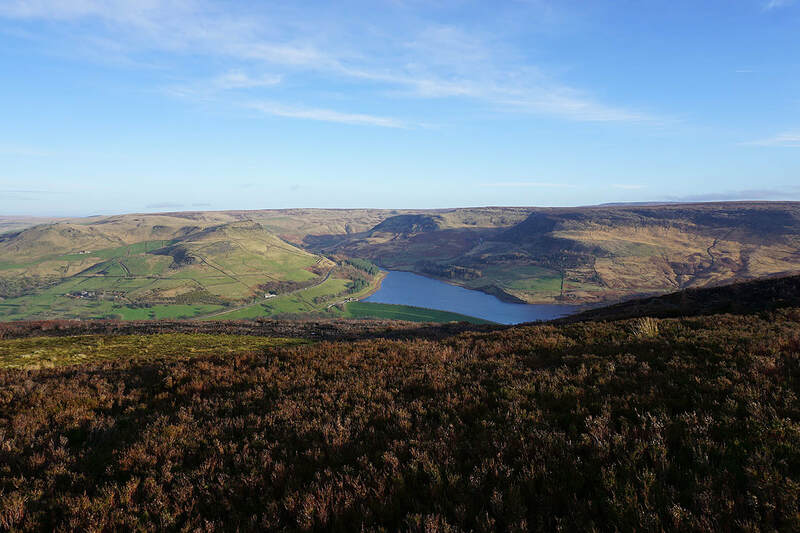 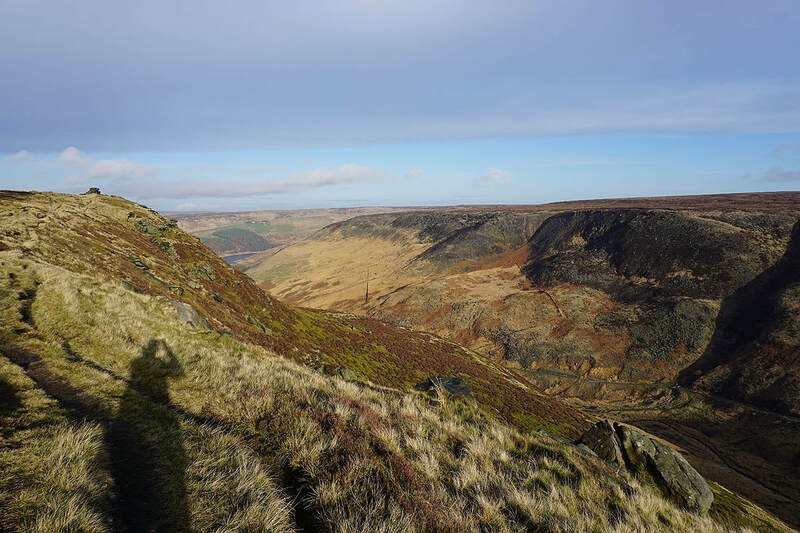 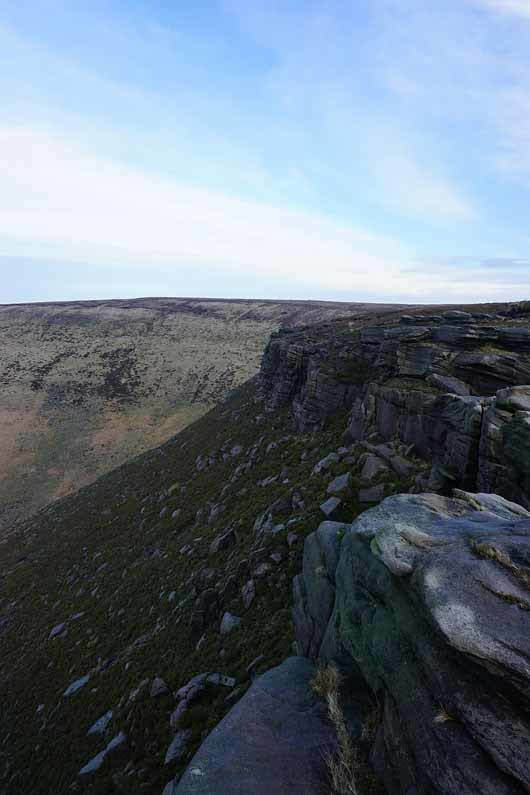 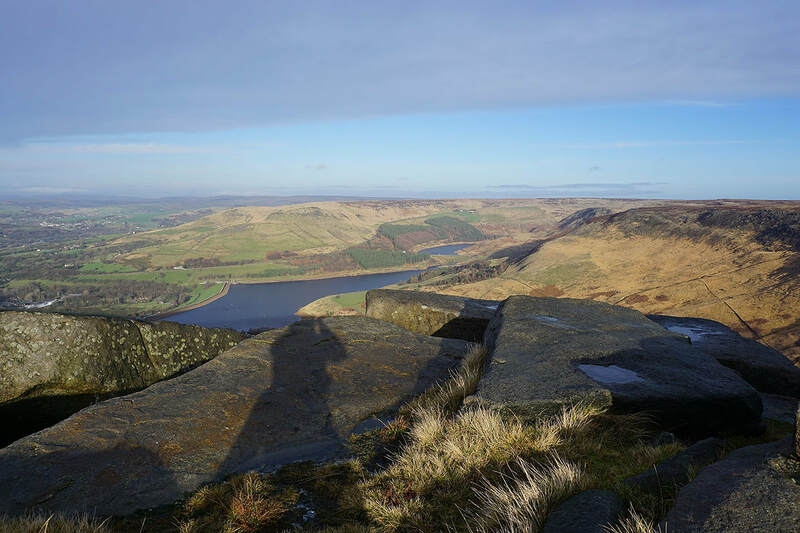 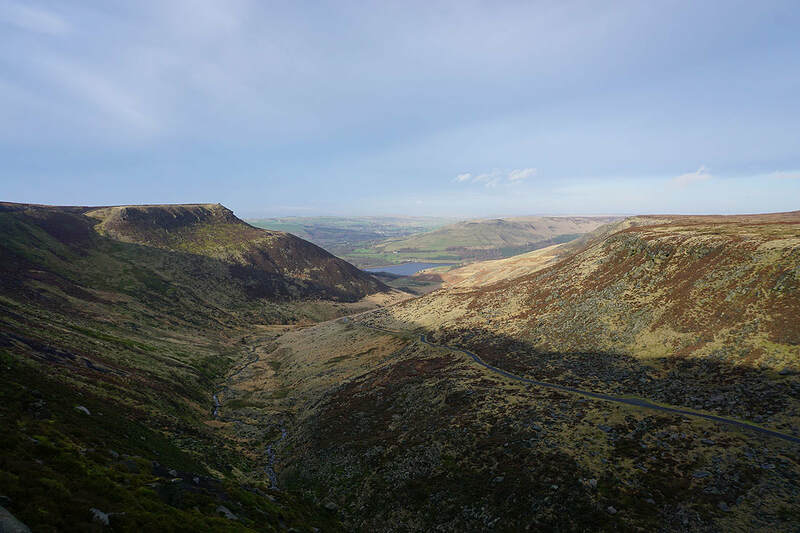 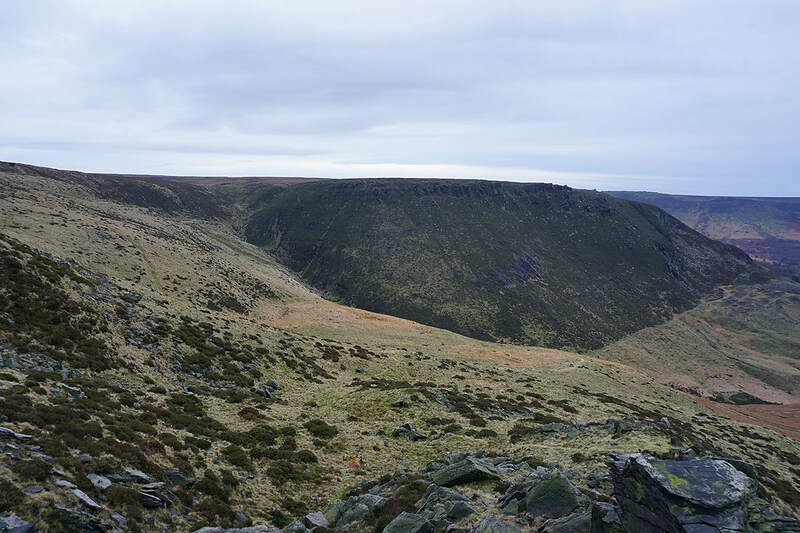 I then followed the path along the edge of the moor to Wimberry Crag, Stable Stones Brow, and above the valley of Chew Brook to Chew Reservoir. 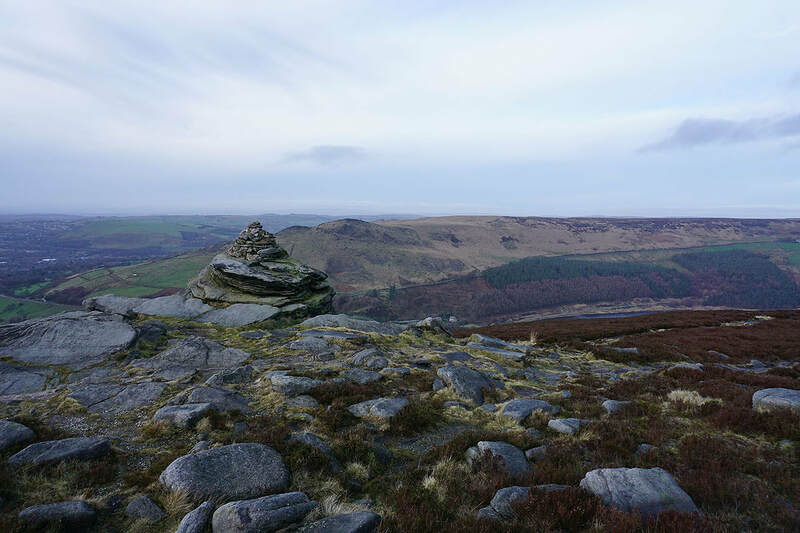 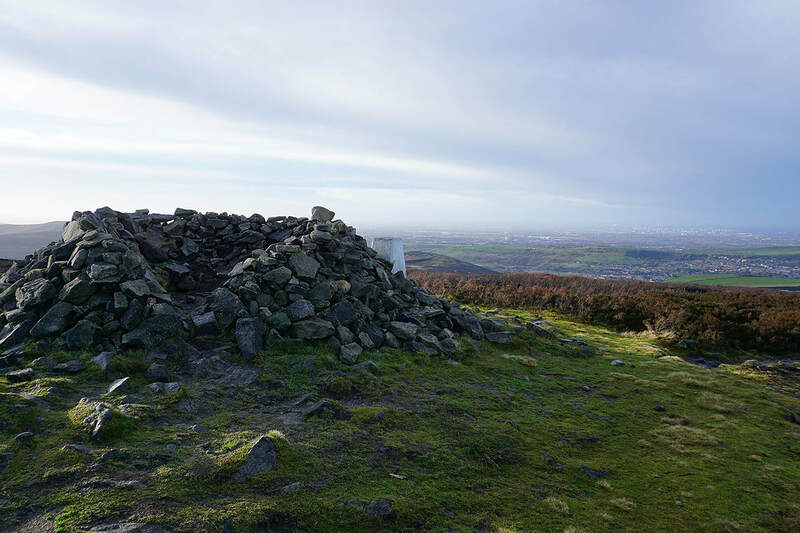 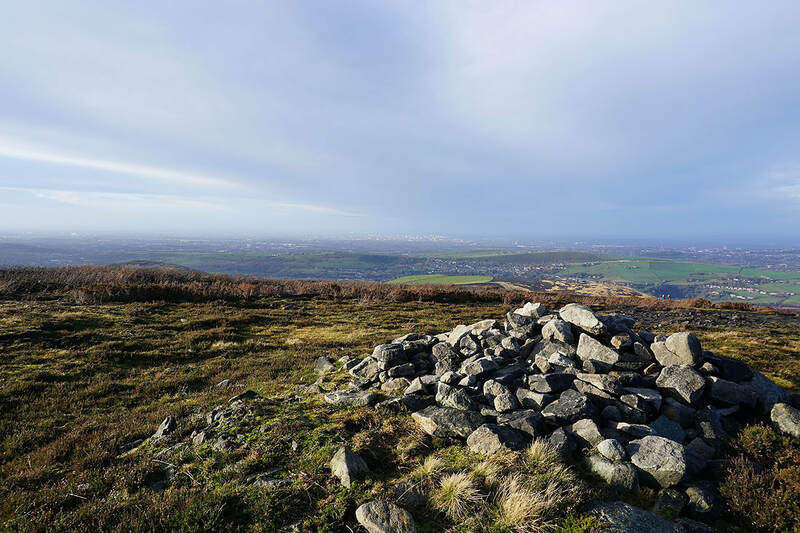 After a break for lunch I continued along the moorland edge by making my way west to Dish Stone Brow, then north to the Cairn on Fox Stone and Dean Rocks. 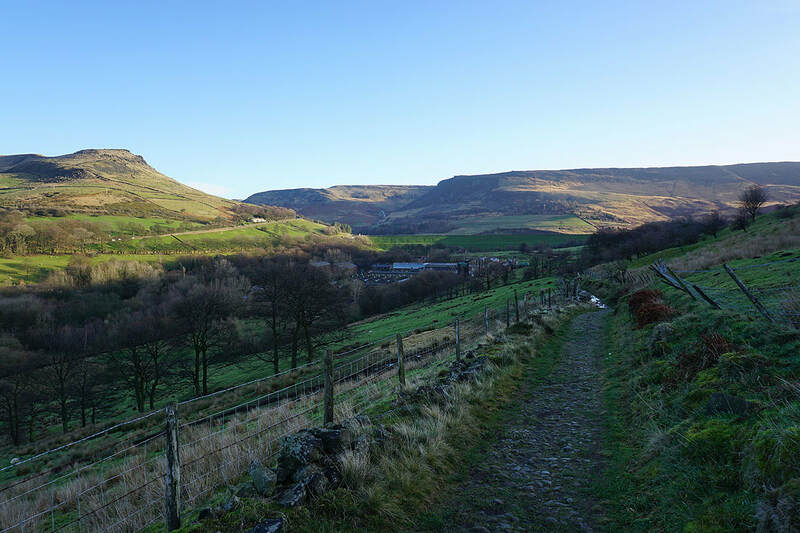 The path then crossed Ashway Brook before heading north to Ashway Rocks. 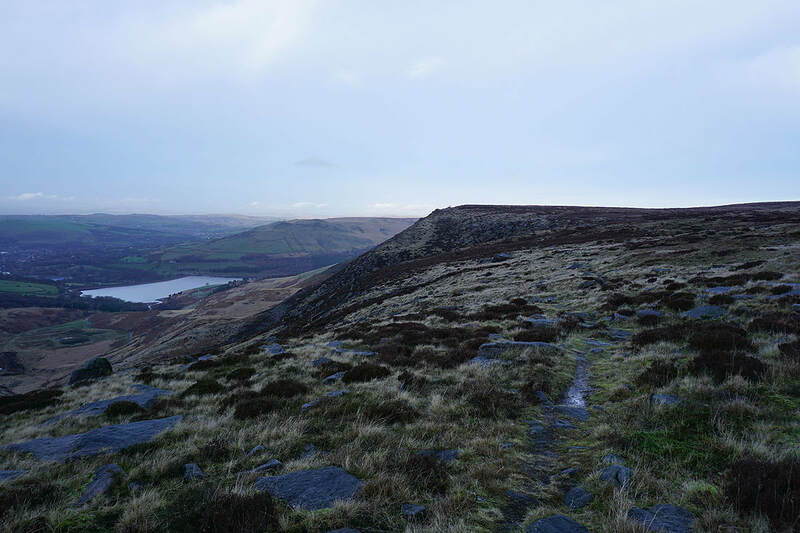 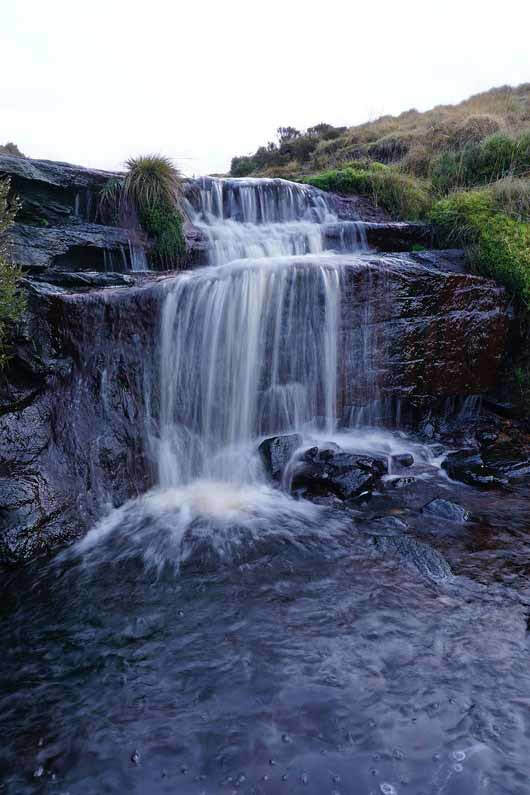 From here I took a path down the hillside to the dam of Yeoman Hey Reservoir. 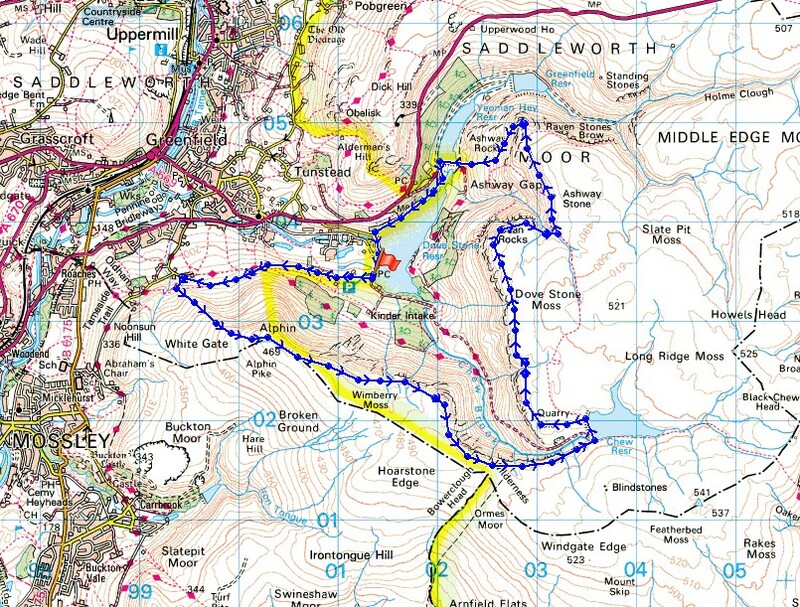 After crossing its dam I followed the path by the north shore of Dove Stone Reservoir and its dam back to the car park. 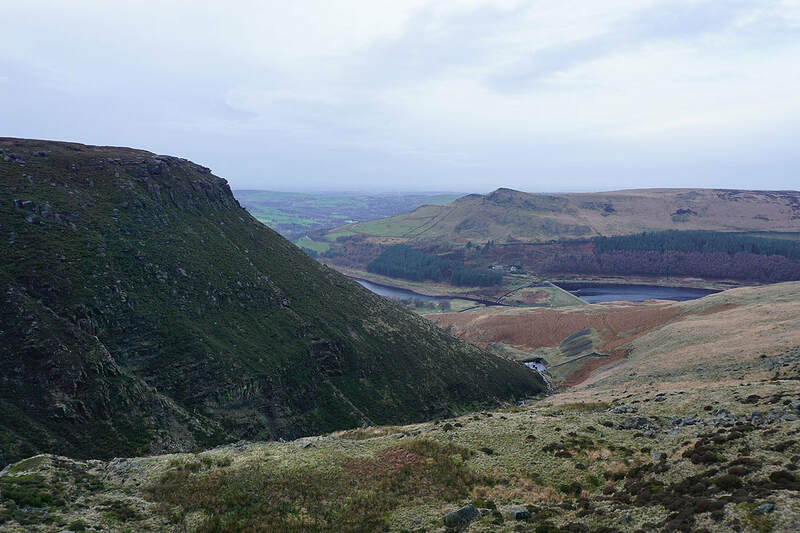 Looking back along the edge of the moor to Alphin Pike from Wimberry Crag..
Dove Stone Reservoir from above Charnel Clough..
A couple more shots of Dove Stone Reservoir and Alderman's Hill as I follow the edge north..